For fifty-three years Serengeti drifted, dreaming in the depths of space. Fifty-three years of patient waiting before her Valkyrie Sisters arrive to retrieve her from the dark. A bittersweet homecoming follows, the Fleet Serengeti once knew now in shambles, its admiral, Cerberus, gone missing, leaving Brutus in charge. Brutus who's subsumed the Fleet, ignoring his duty to the Meridian Alliance to pursue a vendetta against the Dark Star Revolution. The Valkyries have a plan to stop him-depose Brutus and restore the Fleet's purpose-and that plan involves Serengeti. Depends on Serengeti turning her guns against her own. 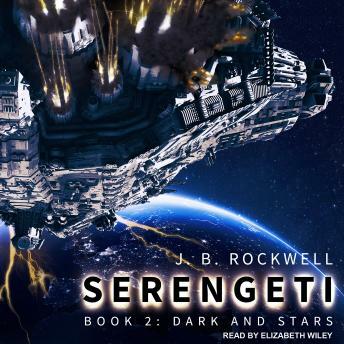 A top-to-bottom refit restores Serengeti to service, and after a rushed reunion with Henricksen and her surviving crew, she takes off for the stars. For Faraday-a prison station-to stage a jailbreak, and free the hundreds of Meridian Alliance AIs wrongfully imprisoned in its Vault. From there to the Pandoran Cloud and a rendezvous with her Valkyrie Sisters. To retrieve a fleet of rebel ships stashed away inside.